INTERNATIONAL FEST – OCTOBER 10, 2013! JOIN OUR TEAM OF ARTISTS, PARTNERS AND SUPPORTERS! 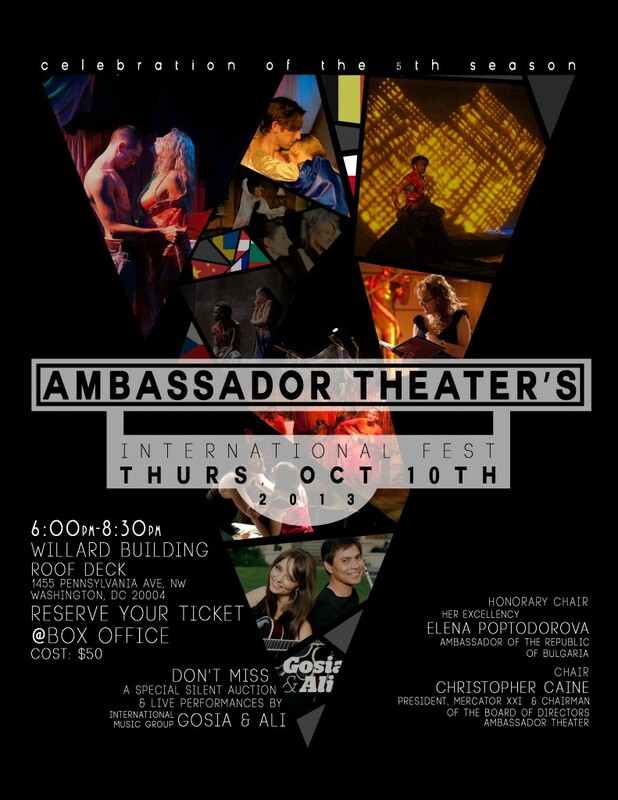 The event highlighted Ambassador Theater’s mission to build international cultural awareness, provide a high standard of international repertoire based on close relations with the diplomatic and cultural representatives of different countries in the United States, and provide interactive educational programs for the youth of the District of Columbia, DC Metro area, and around the United States. Team of the Ambassador Theater thanks all its artists, memeber, friends and supporters for their continuous support!